Sitting is bad for you. I’m sorry to say, but it really is that simple. Our bodies are designed to move and run and to be active, while sitting causes them to atrophy and fall apart. Yet, most of us are professional sitters – getting paid to sit for most of the day at a desk and work on computers. I know that I would rather be dancing or riding my bike, but I can pay my bills a lot more effectively by sitting at a computer. So, how can we work at our desks and be as healthy to our bodies as possible? This is the first of a series of posts on Office Ergonomics where I explore basic physiology, anatomy, and alignment principles, review my favorite equipment (and explain why), and discuss various actions you can take if you are currently experiencing pain while at work. The first principle to understand is that your body (and brain) physically adapts to how you use it. We all know about sport specific adaptation – like bikers who develop strong leg muscles, or rock climbers who have strong arms. While stronger muscles sound like a great result, adaptations that help you specialize for a specific task may make it more difficult for you to do other tasks. I know weight lifters who bench press enormous amounts of weight, but who can not cross their arms in front of their body any more. As athletes train daily for the specialized set of actions required by their sport, they become very good at those actions, but can throw their bodies out of balance leaving them prone to injury when doing other things. This is one reason that cross-training is popular and helps prevents injuries – it keeps an athletes body prepared for a more general set of motions and avoids overly specializing for a single set of actions. Now, take a moment to think about how much time you spend sitting every day. Besides being at work, you might sit in your car commuting, then sit while eating at each meal, then you also sit while watching TV or surfing the internet reading blogs like this one. How much time do you actually spend moving? Your body adapts to whatever you do, so if you spend long hours every day sitting your body will adapt to be “better” at sitting – and possible worse at other things — like walking! So, always remember to cross-train for sitting and include as much motion in your day as possible. Along with motion, knowledge about the adaptions will help you understand the impacts of sitting, and they fall into three major categories: muscle atrophy, muscle shortening, and fascia binding. Muscle atrophy is a concept that most of us are aware of. We know that if we do not use our muscles, they will get weaker. It takes constant energy to feed muscle bulk, and our bodies are efficient – if we are not using the muscle it naturally starts to atrophy since it is a wasteful use of resources to maintain unneeded muscle. The primary daily use of our muscles is to move us around while counteracting gravity. Because gravity is so omni-present we tend not to think much about it, but it is a constant and significant force that we expend a lot of energy engaging with. Sitting passively we reduce the need to counteract gravity and do not demand much out of our bodies – leading to atrophied muscles and weakness. Weak muscles are a problem because they will leave your joints unstable and prone to injury, or otherwise pulled out of alignment by other chronically short, tight muscles. Besides adapting your muscle bulk, your body also adapts the length of your muscles. Your muscles are strongest in the middle of their range of motion, loosing power at extremes of extension or contraction. Therefore, it is most efficient for the natural resting length of your muscles to be in the middle of the normal range of motion that you experience. This adaptation allows the muscle to have the most power for the least effort through the majority of expected motions. Therefore, your body will literally change its shape to accommodate the poses and movements that you normally experience. Figure 2. Tight hip flexors pull your pelvis away from neutral alignment into an anterior tilt, which strains the lower back. All the time we spend sitting at desks and sitting at home encourages a pattern of shortened hip flexors. One of our most important and powerful hip flexors is the iliopsoas (Figure 1), a two headed muscle which runs from the inside of our lower spine and the top of our pelvis down to the upper portions of our femur bone. With the pelvis fixed in place, contracting this muscle causes you to lift your leg (like a seated pose). Conversely, when standing with the femur bone fixed in place, contracting the iliopsoas causes the pelvis to tilt forward (anterior rotation – figure 2a). 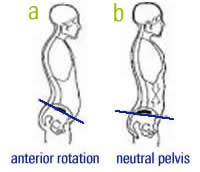 Therefore, when you sit all day the iliopsoas is held in a shorted position (Figure 3b) and slowly adapts over the years causing your pelvis to tilt forward (anterior rotation) and putting a lot of pressure on your lower back. 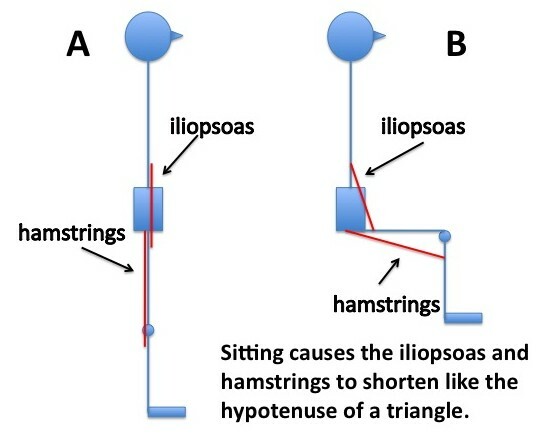 Thus, your adaption to sitting has made it more difficult for your body to stand upright because that requires your iliopsoas to be in a longer looser pose (figure 3a). Figure 3 Muscles shorten when you sit. The shortening of the hip flexors is only one of the problems caused by sitting. 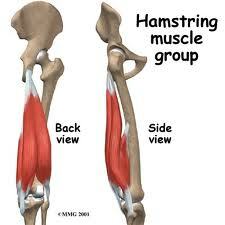 The hamstrings, which are the largest and most powerful muscles in the body, also become shorter. The hamstrings connect from the bottom of the pelvis to the upper portions of the tibia (shin bone – figure 4). Thus, sitting with your knees bent your hamstrings hold a shorter pose than required while standing (figure 3). Since the hamstrings attach to the back of your pelvis, they pull your pelvis in the opposite direction as your hip flexors. This can cause the lower back to flatten past the point of a healthy neutral spine and can be a source of many lower back complaints. Figure 4. The hamstrings connect from the bottom of the pelvis to the top of the tibia (shin bone). The shortening of the hip flexors and the hamstrings tilt the pelvis in different directions. While you might think, “great! Its all in balance!” it is not. 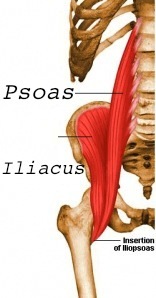 As the hamstrings and the iliopsoas fight each other they both get tighter and tighter. This reduces the range of motion of your pelvis and locks it into place, often far from a healthy “neutral” pose (Figure 2b). It is a vicious feedback cycle that makes it increasingly difficult to achieve a healthy alignment, even when you try, since the tight locked muscles will keep pulling you back out of alignment. When you want to unlock stuck hips, the solution is, of course, a combination of knowledge, stretching, strengthening, and bodywork. Think of this as cross-training so that you can be good at both sitting and walking. In another earlier post (Fascia, Collagen, Motion, and Bodywork) I discuss how our body is constantly laying down new collagen fibers, somewhat at random. As we move we break the fibers that grow between the moving surfaces of our muscles. Thus, the body adapts to its usage by stiffening up sections that don’t move much and keeping smooth sliding surfaces in the areas that see lots of motion. Like our body efficiently letting unused muscles atrophy, the body uses this process to save energy on muscles that are held chronically tight. When keeping a muscle constantly clenched, the slow build up of the collagen fibers is similar to a tree trunk becoming more fibrous and woody. As the muscle binds up and gets stiff, the body spends less energy clenching the muscle and instead passively relies on the tree trunk it just grew. Thus, when spending most of our time sitting, our muscles slowly glue together in that pose, decreasing our range of motion and eventually getting so stuck together that we can no longer get the muscles unstuck simply by moving. For more on this, see my earlier post. The good news is that you are unlikely to keel over and die directly as a result of sitting. 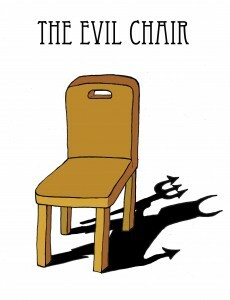 Sitting kills as an indirect result of the physical adaptations it causes. As your body adapts to sitting and becomes less well suited for other activities, like standing and walking, you increase your likelihood of a major injury. Having tight, weak muscles may still be sufficient to get you through your typical day — shuffling from work desk, to car, to couch, to bed — the danger is when the unexpected happens. When you slip, trip, or otherwise have a sudden need for your body to perform, you need a strong, flexible, reactive body to be able to catch yourself safely. 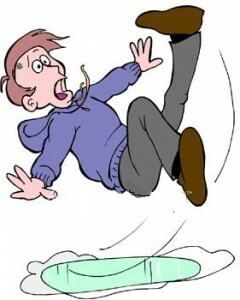 Everyone trips, everyone slips, the unexpected is guaranteed to happen eventually, and if you are too tight and weak to catch yourself you end up falling and breaking something like your hip or arm, or throwing out your back. These injuries can directly kill you or cause a severe degradation in your quality of life. The most frustrating is when the injuries cause you to tighten up even more and you further limit your physical activity — starting the downward spiral that leads to further injury and physical decline. Keeping with my current focus on Office Ergonomics, my next post will discuss Active Sitting and how we can minimize the undesirable adaptations caused by long hours at the desk. On the sidebar to the right of this post I’ve added a few quick reviews for the items I personally use, and will give more detailed discussion in future posts. Since I wrote this post, I have gathered more studies and articles on the topic and written a review in this recent post: “Another 1,001 Reasons to Avoid Sitting“. Tagged with adhesion, alignment, atrophy, back pain, collagen, ergo, ergonomic, ergonomics, fascia, hamstrings, iliopsoas, motion, physiology, psoas, sitting, walking. Great article; thanks! I hope you talk about “sit-stand desks” in a future followup; one of my customers has these, and I’ve been wondering if it would be helpful. Thanks! And yes, I do have a whole series of posts in mind, covering various types of chair options and sit-stand desks. I *strongly* recommend sit-stand desks, and have a link to my favorite (and most affordable) one on the side-bar to the right of the post. your welcome! That is my goal — help people understand how their bodies work so you can pursue healthy choices! Expertly Researched and well written. I will definitely reference this for my patients. Thanks Dr. Pierce! And thanks for all the help those many years ago! Thanks for the links to other good information! As you know, I love to do research! . It’s a good thing to bring this problem to people’s attention. Thanks, Vytas. As a follow up, I recommend “The Egoscue Method of Health Through Motion” and “Pain Free” by Peter Egoscue. This therapy fixed my back, and allowed me to avoid back surgery. Thanks Paul! I will second your recommendation for Peter Egoscue because I’ve heard very positive results from a number of other friends. His work is another source of knowledge that I hope to explore soon! Brilliant. Thank you so much for articulating this phenomenon so clearly (we call it “The Anatomy of Sitting”). I’m a movement analyst and was introduced to your work by a client of mine at The Body at Work Ergonomics — http://www.thebodyatwork.com/ — where we teach people to sit sustainably by expanding their repertoire of dynamic work postures. We recommend a lot of sit-stand desks, and titled our main seminar “Unfolding the Sitting Body” for precisely the reasons you articulate so well. 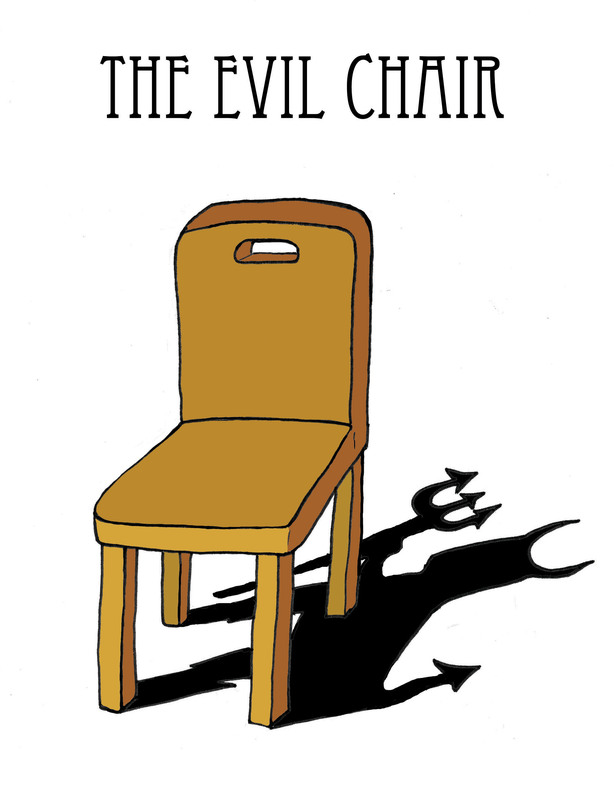 What if a chair invited us to move, rather than sit still? Remember how you hated sitting still in grade school? Let’s rethink what it takes to be our most efficient selves. It’s never too late to re-member that body we had before we spent our days sitting, and reintegrate that kind of dynamism into our daily life. Thank you! this is great feedback, and I look forward to chatting more with you in the future! I would be curious how about if we are squatting as we sit, Indian style ? Well, if your hips are open enough to do that it would be fine for a while. But remember, any position that you hold for many hours will not be good for you either. Ultimately we are best suited to be in regular diverse motion. Great article! My only counterpoint is this: If God didn’t want us to sit, He/She wouldn’t have put so much fat on our asses. Very informative article. My husband suffers a lot from wrist pain, between his guitars and mad software development. Can you think of an input device, perhaps a little less dear than the $200+ ErgoMagic, he could look in to. He is good at adapting to odd gadgets. Hey! Thanks! I hope to go into detail into my thoughts on the various input devices and other solutions to happy healthy sitting and computing. Stick with the blog (sign up for the RSS feed if you wish) and I’ll cover all this over the next month or two. In the meantime, I can also strongly recommend the 3M Ergonomic Mouse that I link to on the sidebar. Do make sure you get the right size for him (probably the large one). The other tip which I’ll cover later is that most wrist pain is really caused by poor shoulder posture (rolled forward). Hey Vytas – great article! I am inspired by your words and by your workstation at NASA. What kind of keyboard are you using? That broken looking raised keyboard looked intriguing. cheers! Thanks – I use the ErgoMagic Keyboard, from comfort systems. I link to it on the right sidebar of this site, where I discuss favorite ergonomic equipment. I will eventually do an in depth review, but right now am focused on writing more about Active Sitting. I have invented a new laying or sitting device (FitWhileUSit.com) that promotes neutral posture and cultivates the benefits of active sitting. The most surprising thing about the device is how it increases users’ mental agility. Try testing your working memory on a traditional chair, standing up or actively sitting on an exercise ball. Our preliminary research shows 5 out of 6 users increase their score while on my invention. Regardless of which platform was tested first, active seating improved test scores at http://cognitivefun.net for 5 out of 6 users. The research is ongoing and we are looking for customers to purchase under controlled release to clarify the benefits and risks of full time use. I have been using my FitWhileUSit full time since October. I lost 1 to 2 pounds per week for the first 6 weeks or so and then Thanksgiving and Christmas put an end to that. My core abdominal muscles and back are stronger than ever. I’m much happier. That is a great article. We will link it to our website’s blog on ergonomy at the office. We at http://www.ugoburo.ca/en are selling more and more sit to stand work table in Canada. People who are working long and repetitive hours sitting on a chair are really in need of more adapted furniture solutions. Your point of view based on facts and science will surely help to generate more traction about this whole idea. Thank you for this. Excellent writeup on the dangers of prolonged sitting. You can have the most ergonomic chair in the world, and this can help a lot with preventing certain strains on the body, but it cannot help you if you remain inactive for too many hours of each day. Nice insight into the way that too much sitting without occasionally challenging your muscles, bones, etc. can make you more prone to serious injury from a slip or a fall later on. Would you think about writing guest posts? Wow, I experienced everything mentioned n this article. This knowledge should be strictly taught to people working in an office environment. Great article. I wonder if you have tried the Alexander Technique, which is a way to counteract the kind of thing you are talking about.